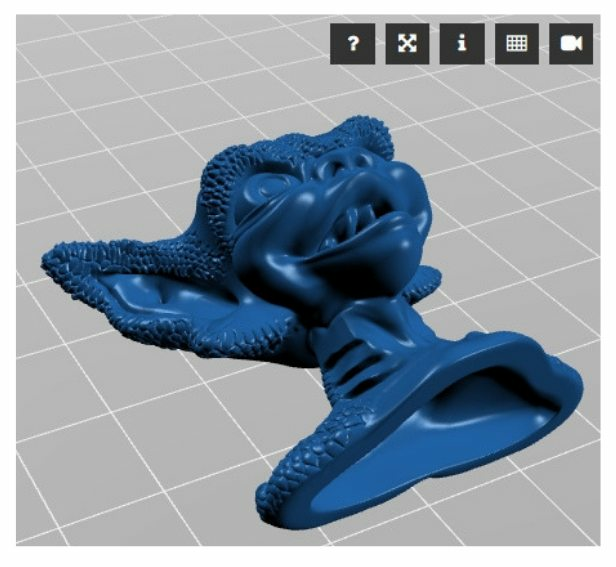 This plugin provide a fully customizable 3D model files viewer to embedd your STL models on your WordPress pages or posts. You can load models into WordPress media and then, by using the plugin shortcode generator, you can embed the thingviewer into you pages or posts. 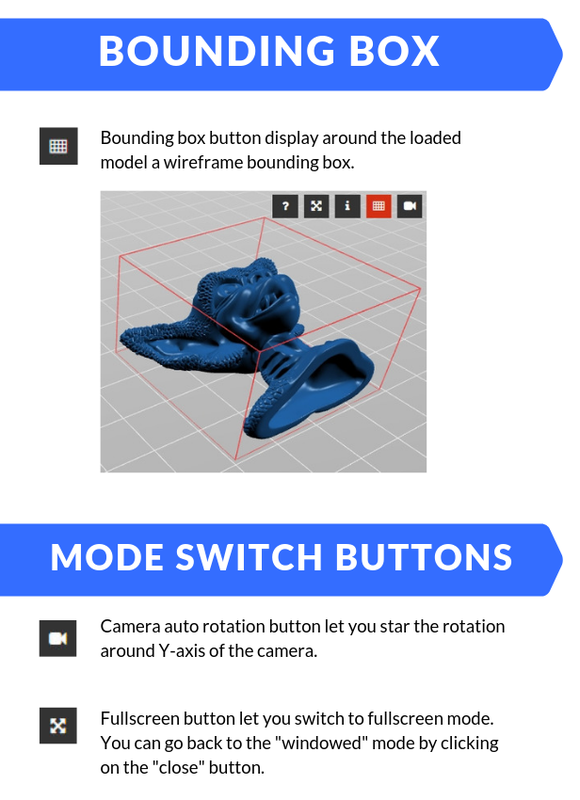 The models are NOT EMBEDDED from Thingiverse-like website but HAVE TO BE on your own website. 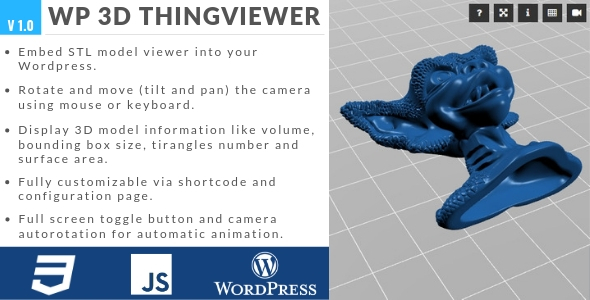 In the thingviewer you can pan, rotate and zoom the camera (with mouse or keyboard). 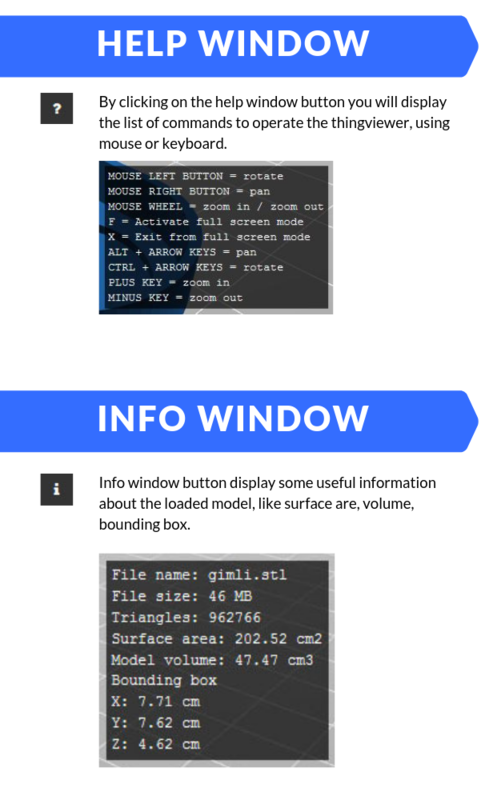 A set of option buttons are provided to let you access some useful information (like the help for the available commands and and information window) and to enable functions like the full-screen mode and the auto-rotation camera mode. Customizations of the thingviewer appearance and functionalities can be done from configuration page. This plugin require Redux Framework plugin to work. TGMPA plugin is provided to install required plugin on activation. Built on WordPress Plugin Boilerplate by Tom McFarlin. Every purchase of this plugin will be counted and at the reach of every milestone a new version of the plugin will be released with a new feature! The milestones list is displayed below and will be updated according to the sells progress. With the reach of every milestone a new version of the plugin will be updloaded, and it will be possible that the price of the plugin will be updated too! If you want to avoid price changes buy the plugin early so you can recive all the future update for a cheaper price.